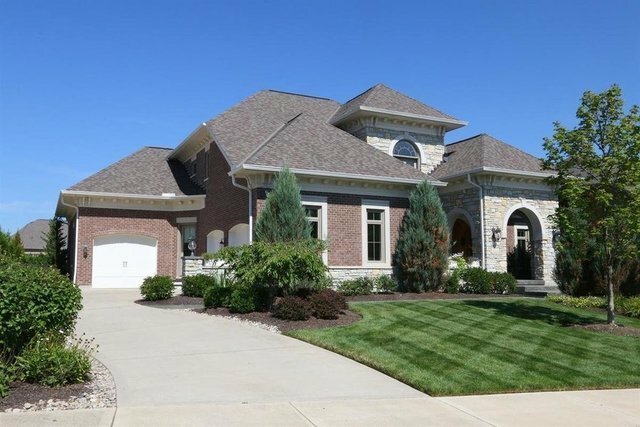 Impeccably maintained; custom detail throughout! Breathtaking views on amazing water lot. Master craftsmanship, Homearama quality. Open and bright floor plan includes first floor master suite with designer bath and large walk-in; add second master suite in lower level, all bedrooms with private baths and walk-ins. Chef's dream gourmet kitchen with huge island and butler's pantry. Finished lower level with media, billiard and exercise room. Amazing!